I'm always excited to learn about an influential historical figure that I had not heard of before and seriously, this title draws attention. You can't argue with that. So, obviously, I don't know all the Roman emperors. In fact, I'd never heard of Justinian before and thus had never wondered about his wife, Theodora. 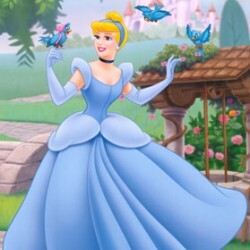 But seriously, she is one interesting character! Or at least in the way Stella Duffy portrayed her! I never knew there was a rule in that time that actresses coudln't marry. And while I knew about the stereotype of actresses having loose morals, I never knew they were sort of required to be a courtesan as well as perform in theater! And I never realised there were that many eunuchs! Or maybe that's just that we came across them a lot in this one? 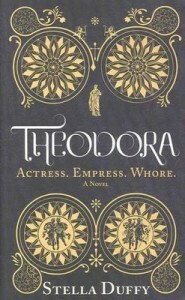 ANYWAY, I really enjoyed this look into the society of ancient Rome and while Theodora is certainly not a character without serious flaws, I liked her. She did unexpected things and sometimes I wondered about her decisions, but this didn't detract from her appeal to me. I felt that she knew her talents and flaws herself and also knew how to use and hide them to her best benefit! And seriously, if you can make a man who doesn't show interest in anything other than work fall for you and make him change the law just so he can marry you? You are kind of awesome.